The program TECNIOspring Plus allows the international collaboration of research centers and R&D department of companies providing financial support to individual mobility. The outgoing modality consists of spending the first year in a research center outside Spain, followed by one year in a Catalan institution. 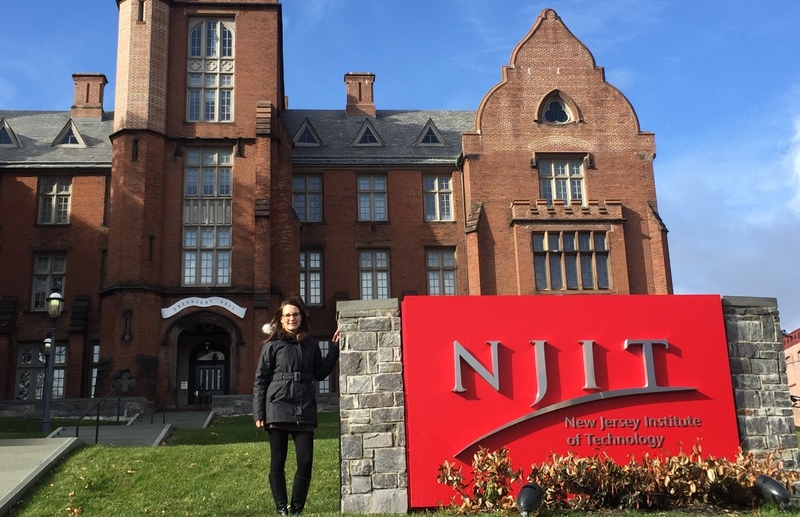 This is the case of Judit Morlà-Folch, who is nowadays at New Jersey Institute of Technology (NJIT) in Prof. Kevin Belfield research group, located at Newark (EEUU), and she will come back at ICMAB (within the NANOMOL group) next year. The TECNIOspring Plus from ACCIÓ (GenCat) empowers the extension of professional networks and not only allows the enhancement of the scientific quality due to collaboration but also gives the opportunity for the valorization of science abroad. This kind of fellowships is being crucial to strengthen the collaboration between the NANOMOL group and Prof. Kevin Belfield research group from NJIT. Thanks to this project, the novel nanostructures known as “Quatsomes” are being studied from a different point of view, providing important insights for the continuous research and development carried out at Nanomol group. Judit got her Bachelor’s Degree in Biotechnology and the Nanoscience Master at University Rovira i Virgili (URV) of Tarragona. On 2017 she obtained the PhD in Nanoscience, Materials and Chemical Engineering, working on the analysis of nucleic acids using nanoparticles. During that period she was 6 months at Nanyang Technological University of Singapore. From March 2017 she worked as Innovation Manager at Beauty Cluster Barcelona, before joining ICMAB-CSIC. She likes science dissemination, and has been collaborating with schools and participating in monolgue contests, such as FameLab, in which she passed to the Final! (click here to see the video about nanoscience and ADN).